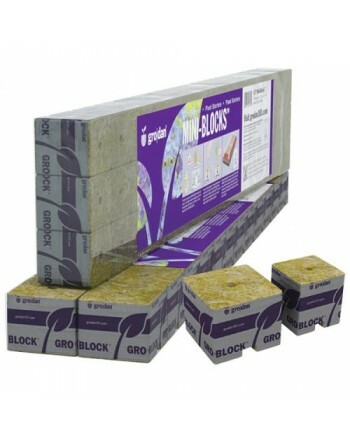 ini-Blocks™ sit in a tray (flat) without support for easy starting of seeds and cuttings. These Mini-Blocks™ are individually wrapped in white plastic to minimize algae growth. Remove wrapping and transplant into any loose media such as Grow-Cubes™ or coconut fiber or leave wrapping on and set on top of a larger Gro-block™. Packed in easy tear away strips, labeled with instructions.